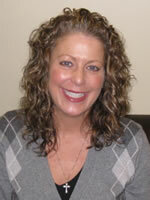 Dr. Nydegger grew up in Utah and attended the University of Utah, graduating with a Bachelor of Arts in Russian. Brett then attended The Ohio State University, College of Dentistry earning a dental Degree and receiving the Student Achievement Award from the American Association of Endodontists. 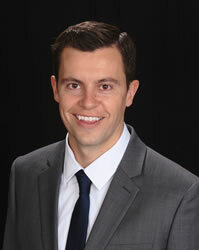 He continued his education at The Ohio State University in Graduate Endodontics, and received his Master's of Science. His research and Master's Thesis was completed in dental anesthesia. He graduated a member of the University Honor Society. Dr. Nydegger, along with his wife Megan and two young children were eager and happy to relocate to the Northwest. Growing up at the base of the Rocky Mountains in Salt Lake City, they have a great love for the outdoors, which is one of the many reasons they have decided to move to Seattle. Brett and his family are excited to be in the beautiful Northwest, and are enjoying exploring Seattle and the surrounding areas. In his spare time, Dr. Nydegger enjoys reading, gardening, mountain biking, skiing, snowboarding, camping, and spending time with his two boys Miles (3) and Douglas (14) months.